A new report by DRBS, a rating agency, warns of increasing volatility in the potash sector with a possible softening of prices, mostly due to supply factors. The price of the crucial fertilizer ingredient has more than doubled since 2007 and has been rising since mid-2010 after falling sharply during the 2009 recession. This trend was led by the traditional industry leader and swing producer, Potash Corporation of Saskatchewan Inc. (Potash Corporation), when, in 2003, it began its expansion program to almost double output capacity to 17 million tonnes by 2015. 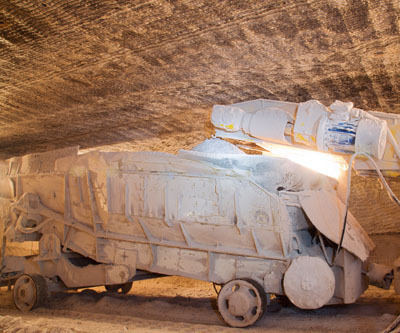 Recently, other existing potash producers have announced the start of significant capacity additions, including Uralkali, K+S Aktiengesellschaft, The Mosaic Company and Agrium. There is also expected to be a number of significant new entrants into the business, including Vale S.A., BHP Billiton plc and Eurochem Mineral and Chemical Company. DBRS notes that when demand for potash fell in 2009, world #1 PotashCorp cut production by 60%, which kept prices high (though falling from a peak reached in 2008) and allowed the small number of producers to remain profitable. This will occur at a point when the industry, which continued to operate below existing capacity levels in 2011, has not fully recovered from the 2009 downturn. Equally important is the expectation of new players in the business, some of whom bring deep pockets and potentially different marketing and market development philosophies than existing producers. Potash demand can be expected to continue to grow, but it will take appropriate timing, market discipline and perhaps a bit of luck to keep markets in balance. A shortfall in capacity additions could lead to a spike in potash prices, whereas too much capacity coming on stream and a lack of producer discipline could drive potash prices much lower than current levels. MINING.com reported in October on how POT (PotashCorp) got shredded in the markets after Scotia Capital announced that potash in 2012 will have zero price growth. On the other hand, India-based Business Standard reported Jan. 9 that "After witnessing a 150 per cent rise in prices since the nutrient-based subsidy (NBS) scheme was introduced in April 2010, potash fertilisers might turn dearer again in the coming days, even as the industry has said it may not raise prices for at least three months." India imports 100% of its potash fertilizer — about six million tonnes annually.